We just got back from the largest payments and financial technology event, Money 20/20, hosted in Las Vegas, Nevada. 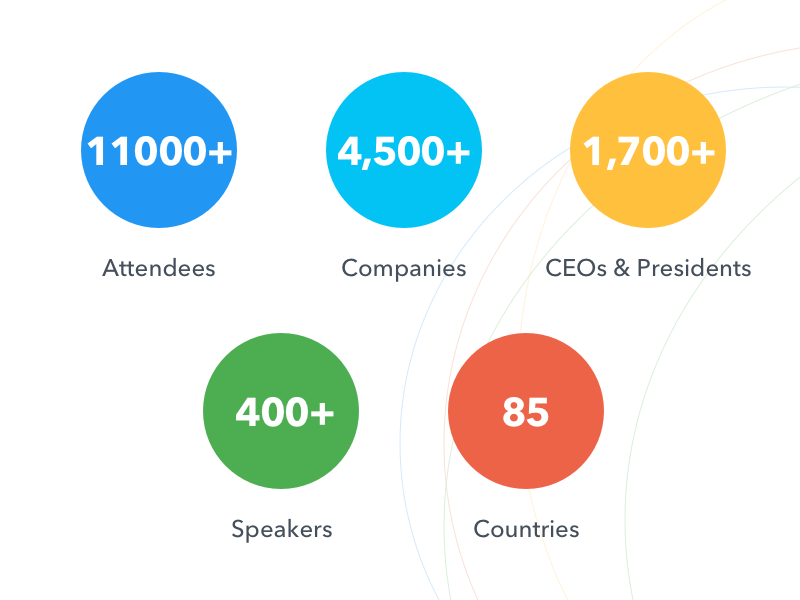 Many brilliant minds gathered together to connect and talk about the future of payments, while speakers from Mastercard, Stripe, Square, Apple, and others unveiled their current projects and their vision for the industry. If you couldn’t make it out to Vegas, here’s a quick recap of what happened. Ecwid teamed up with Verifone, a leader in payment solutions to enable online-offline omnichannel commerce. 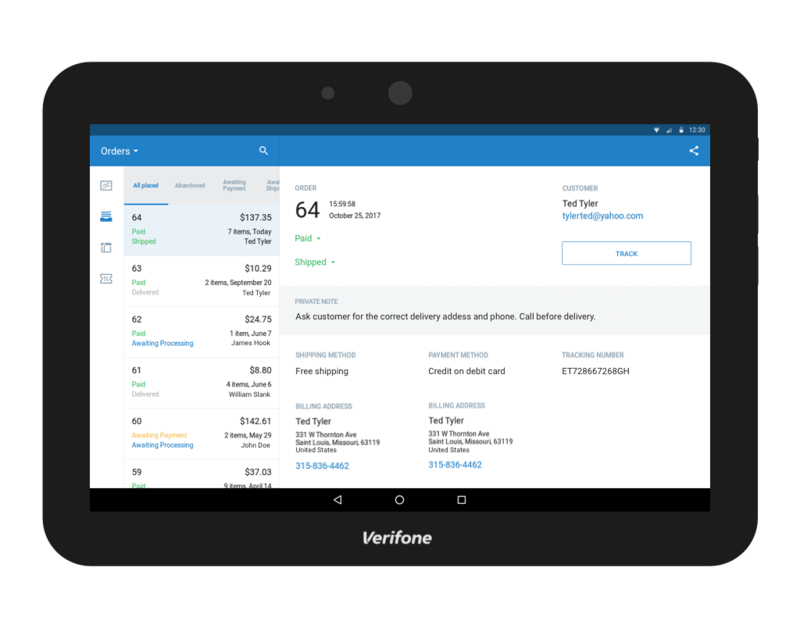 The new Verifone Carbon device integrates with third-party apps to create a fully connected payment ecosystem and help merchants grow. 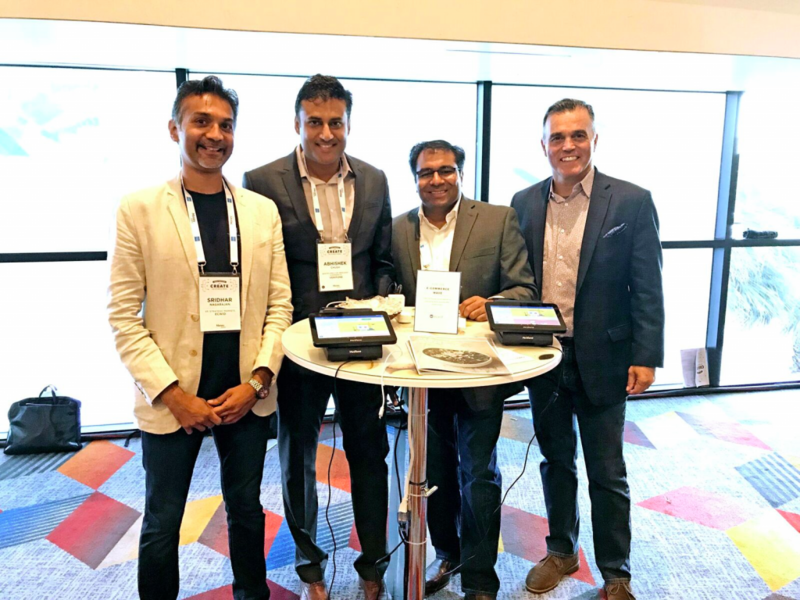 At the conference, we provided a sneak peek of the powerful and unique Ecwid + Verifone solution, which allows merchants to accept online and offline payments and manage their store from the same device. The seamless Ecwid Control Panel and Verifone hardware integrated solution. Ecwid and Verifone make it easy for merchants to manage orders, enable order pickup and sell everywhere: on websites, social media, mobile, marketplaces, in-person and on-the-go from any device. If you think about the scale of this event, it can make your head spin (it certainly made ours). Steve Wozniak, Co-Founder at Apple: we shouldn’t fear the rise of AI and should treat robots like friends. Jennifer Bailey, VP Internet Services & Apple Pay at Apple: Apple Pay is used for 90% of mobile transactions in the USA. Nuno Sebastiao, Chairman, Founder and CEO at Feedzai: AI is our utility to enable safer transactions in e-commerce. John Collison, President & Co-Founder at Stripe: our focus is on having a standard payments interface globally. Chris Skinner, Founder of The Finanser: technology doesn’t just make banking faster, it transforms the industry globally. Dan Wernikoff, EVP and GM, Consumer Tax Group at Intuit: machine learning is how banking and finances can become easier to understand for consumers. The Money 20/20 team had a fun contest to figure out the best payment method. The Payments Race competition required each of the five participants to get from Toronto to Vegas in time for the conference while facing daily challenges. Each participant was given only one payment method to use to get there. Which of these methods are the most popular with your customers? Let’s continue the experiment right here! Erik is Head of Product Marketing at Ecwid. He has spent over 20 years in e-commerce, SaaS, mobile, messaging, analytics and media. His experience ranges from startup founder to public Fortune 500 executive, including 9 years at Yahoo.